Concert Photos were taken by James Wu from the Sanctuary Balcony. 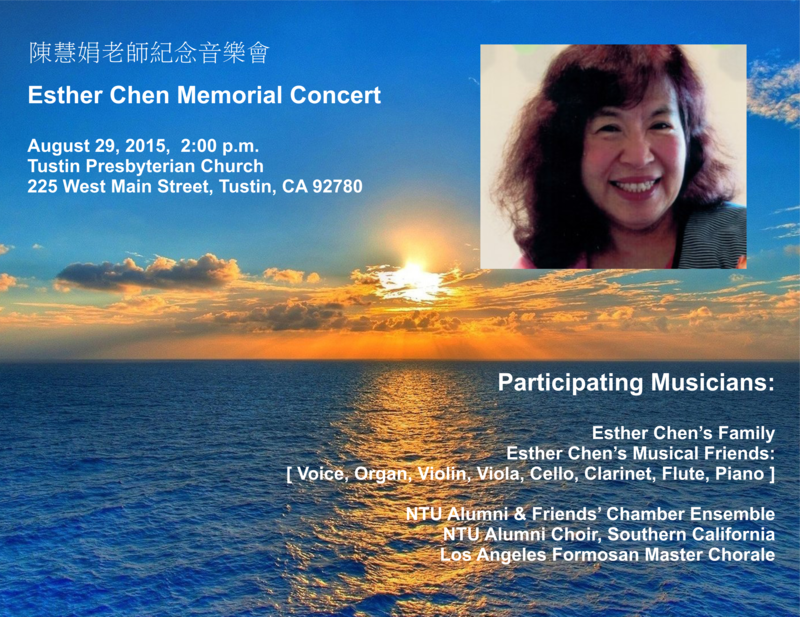 A memorial concert honoring the late Esther Chen will take place on 29 August 2015, 2:00 p.m. at Tustin Presbyterian Church, 225 West Main Street, Tustin, CA 92780. 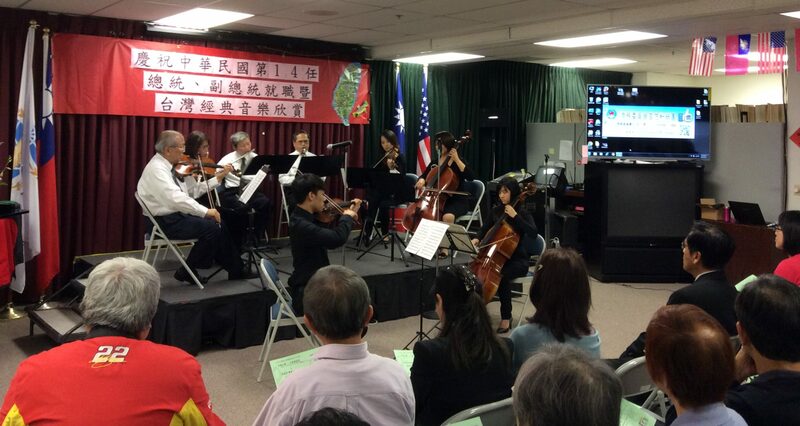 Musicians honoring Teacher Esther Chen include: Esther’s family members; her musical friends; NTU Alumni & Friends Chamber Ensemble; NTU Alumni Choir, Southern California; Los Angeles Formosan Master Chorale. The music program include: voice, organ, violin, and cello solos; choir singing; chamber music and grand choir/orchestra. The planning committee and the participating musicians hereby cordially invite Esther Chen’s friends, students and parents, church members and the community to come to this concert in memory of Esther. Welcome to use the concert flyer (see attached) in extending this invitation to your friends.